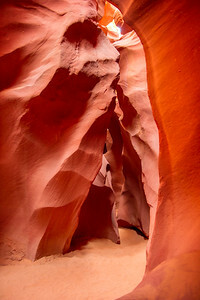 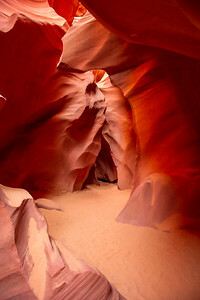 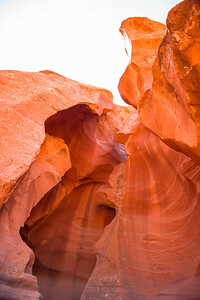 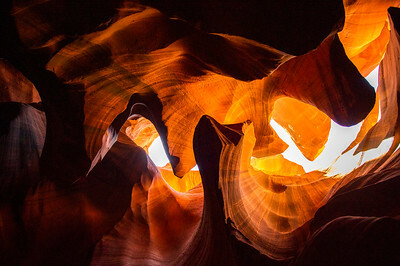 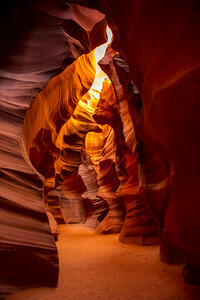 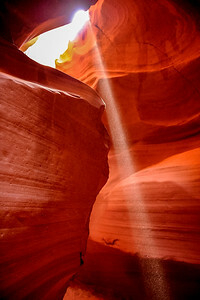 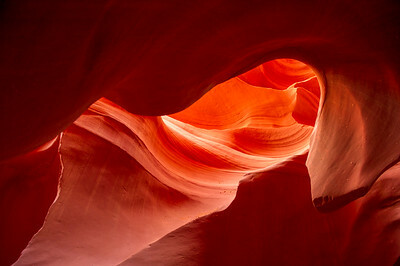 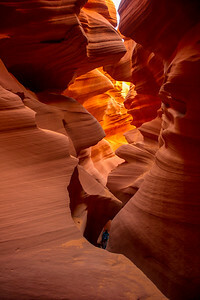 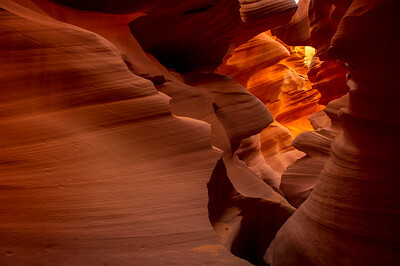 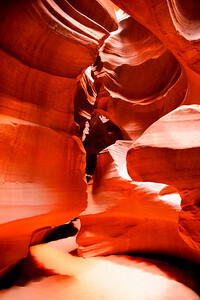 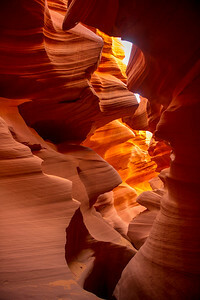 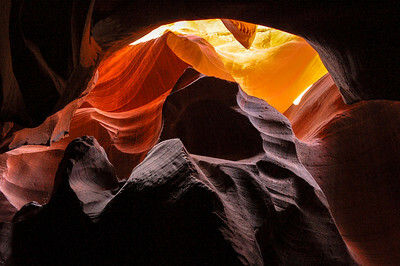 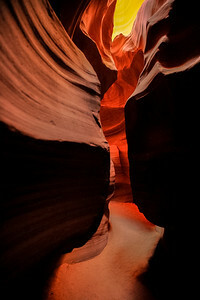 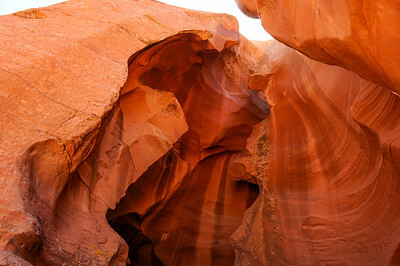 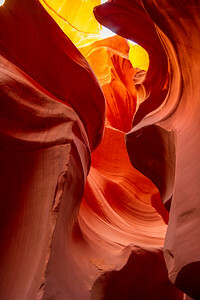 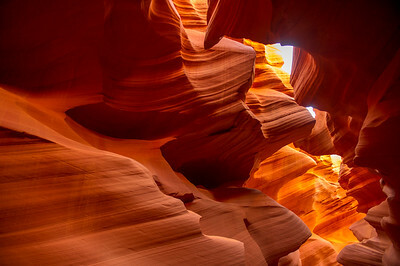 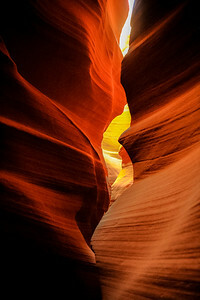 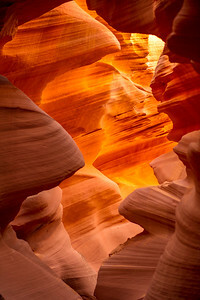 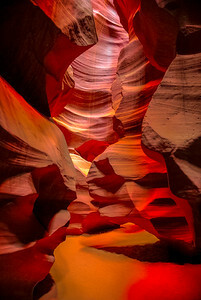 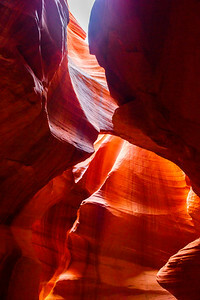 Visit the Upper and Lower slot canyons. 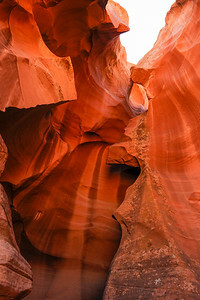 I was told a tour starts every 2 minutes in the upper canyon, and ours had 14 people, so you had better be quick with the camera. 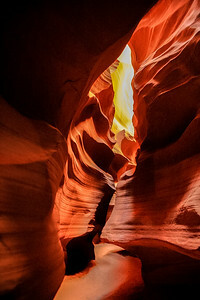 As crazy as it was with 2 dozen people trying to go 2 ways in a narrow spot, the guides still manged to space the groups for some people free shots. 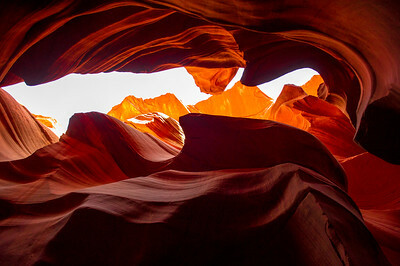 Many are taken above a groups head. 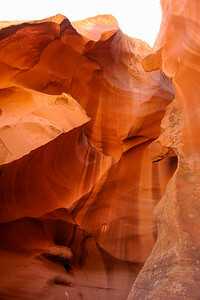 The lower canyon was a special "photographers tour" with only 3 of us and Desmond as our guide, on possibly the last of this tour to be offered, but we could still wait 10 minutes for a clear photo without a stack of tourists. 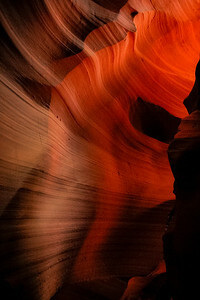 We were the last to leave the canyon tonight. 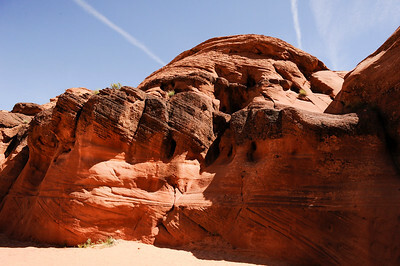 Entrance to upper canyon. 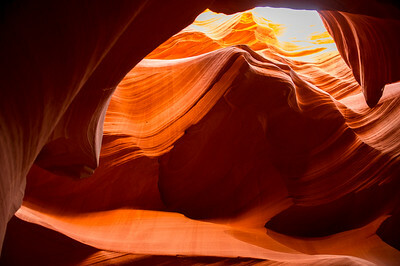 The next 30 are of the upper canyon on a morning mass tour. 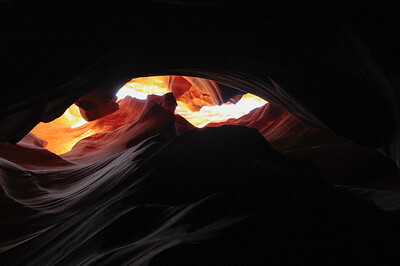 Pretty much looking straight up. 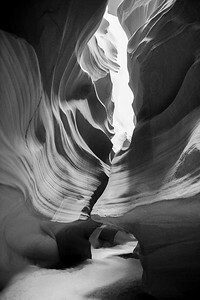 Navajo guide dumped sand on the ledge to spill off. 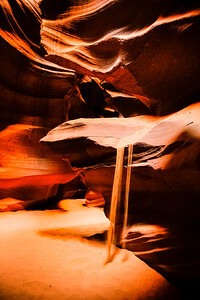 This was the only light beam on this tour. 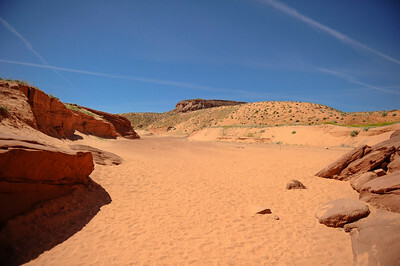 Walking out the end of the canyon on a dry riverbed. 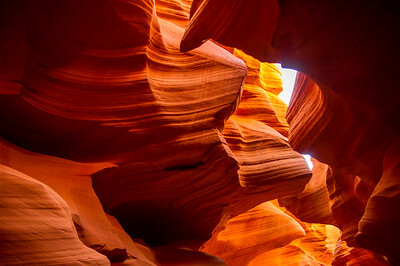 Mid-July the wet season starts and flash flood are a constant danger here. 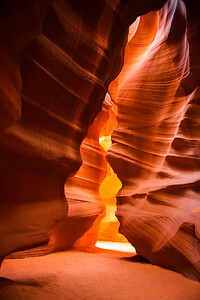 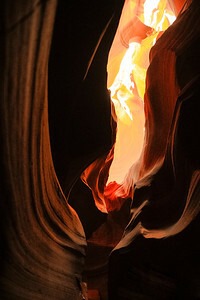 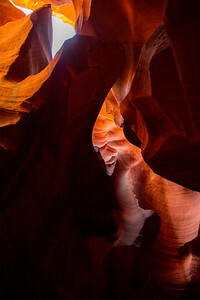 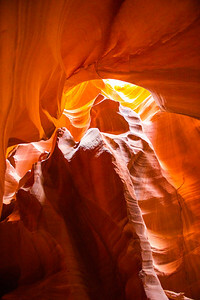 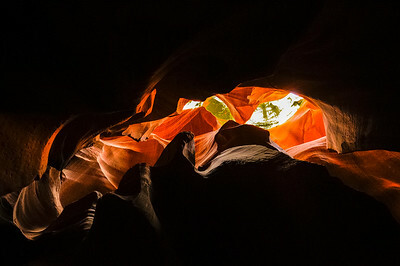 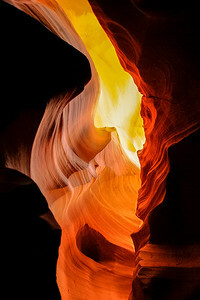 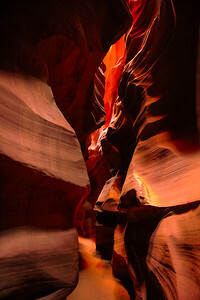 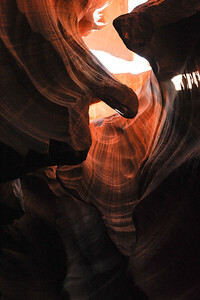 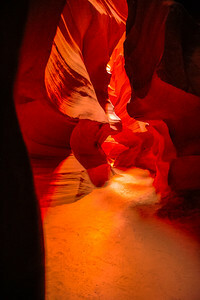 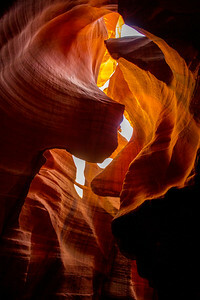 First photo of the lower slot canyon, afternoon tour. 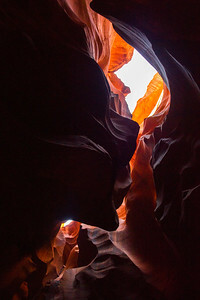 A person in the bottom of the slot canyon for perspective.